Jess spent her early years surrounded by curious and knowledgeable mentors and teachers who were instrumental in grounding her sense of self in the natural world. She has 20 years’ experience in horticulture and farming, outdoor environmental education, and youth program management, including leading youth leadership programs across Canada & the United States, and in the Carribean. 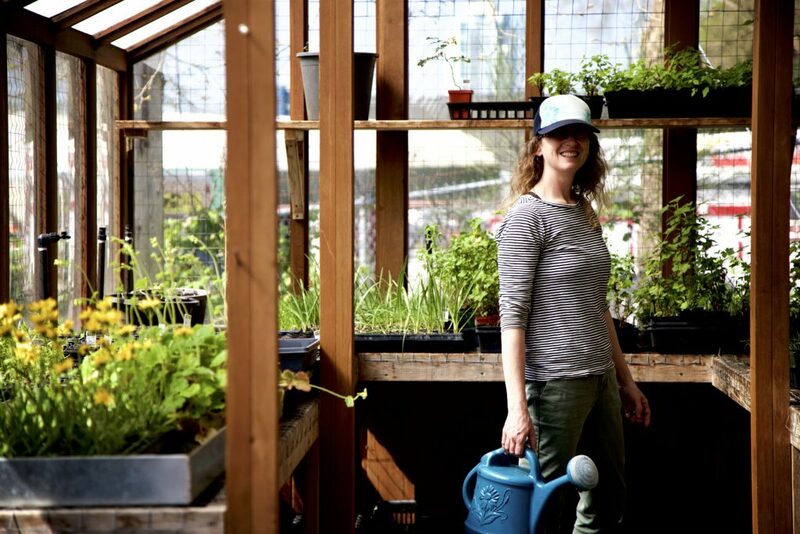 Jess is one of the the co-founders of the Farmers on 57th Community Integrated Urban Farm, growing & educating about food crops and food security in the centre of Vancouver’s rapidly densifying Marpole neighbourhood. Recognizing the inspiration and impact of passionate teachers in her life, Jess feels compelled to complete the circle by helping to inspire and connect people to the natural world around them. She attended the Emily Carr University of Art and Design with a Bachelor of Media Arts and a degree in, of all things, animation. Jess manages EYA’s native plant and rewilding initiatives.